If swing dancing and square dancing met in a bar, you’d get contra. Contra dancing is a type of community folk dance. You’ll dance to live music with a partner, although bringing a partner is not necessary. 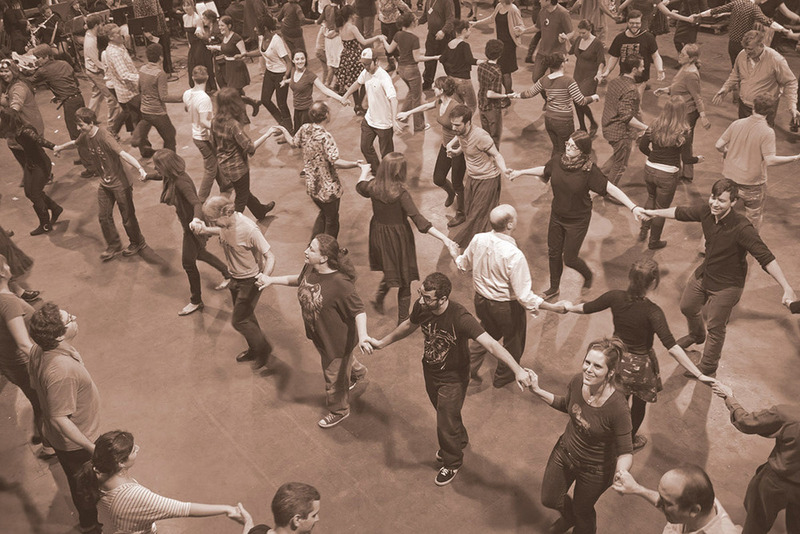 Contra dancing is a great way to meet new people! Couples form parallel lines and, over the course of the dance, move up and down the dance floor, interacting with every other couple in their line. There is no fancy footwork involved – anyone can do it! Calling all of the dances from the stage, the dance caller teaches each dance before the music starts. As the dance progresses, the dance caller provides fewer and fewer prompts until, dropping out entirely, they allow you, your partner, and everyone else on the dance floor to finish the dance accompanied only by the exciting music! New to contra dancing? We've written up some Tips for Beginners. Still have questions? Maybe we've answered them in our FAQs. 1st and 3rd Fridays of every month. Join us for a dance too good to pass over! Lake Effect brings us a foot-stomping exploration of Irish and French-Canadian tunes. If swing dancing and square dancing met in a bar, you’d get contra! Contra dancing is a type of community folk dance. You’ll dance to live music with a partner, but bringing a partner is not necessary. 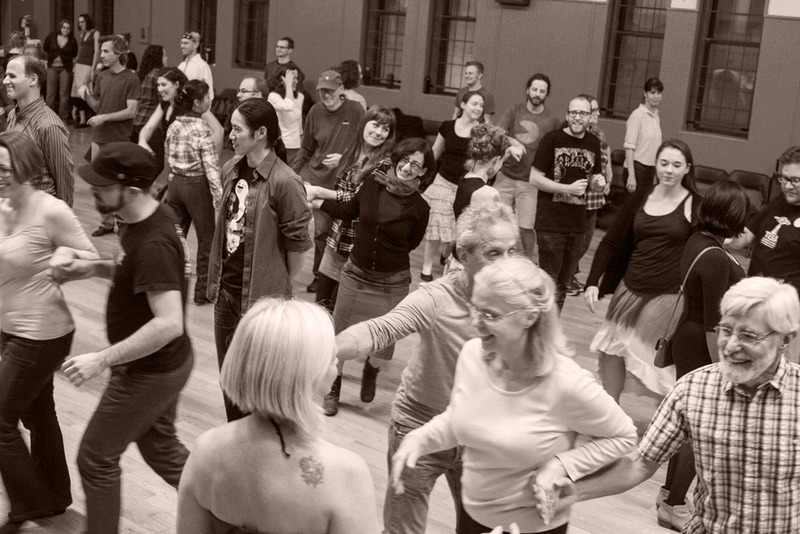 Contra dancing is a great way to meet new people! Folks who haven't danced before are encouraged to attend the introductory lesson at 7:30pm. To maintain the beautiful floor at Camp Friendship, please bring clean, soft-soled shoes. Hard soles and heels are very hard on our floor. Volunteers dance for FREE – if you’re interested in volunteering, please email us at brooklyncontra@gmail.com. ContraShock is an annual two-day contra dance festival, bringing some of the most in-demand contra bands and callers together for a whirlwind weekend of dance and music. Collaboration between Brooklyn Contra and Country Dance New York (CDNY) sets the stage for high-energy live music and some of the best contra dance calling around. There are dances for beginners and veteran dancers alike; all dancers are welcome to Friday and Saturday night dances and a “challenging contras” event will be held Saturday afternoon for more experienced dancers.